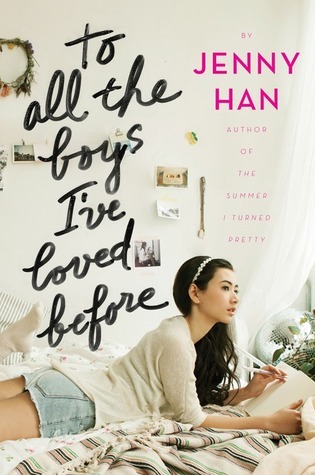 Lara Jean's love life goes from imaginary to out of control in this heartfelt novel from the New York Times bestselling author of The Summer I Turned Pretty series. They're not love letters in the strictest sense of the word. My letters are for when I don't want to be in love anymore. They're for good-bye. Because after I write my letter, I'm no longer consumed by my all-consuming love. I can eat my cereal and not wonder if he likes banana over his Cheerios too; I can sing along to love songs and not be singing them to him. If love is like a possession, maybe my letters are like my exorcisms. My letters set me free. [They are dressed like Harry Potter characters for Halloween] Walking backward, Josh points his wand at me and says, "Expelliarmus!" Automatically, I point my wand back at him and say, "Avada Kedavra!" Josh clutches his chest like I've shot him. This is the moment I realize I don't love him, that I haven't for a while. That maybe I never did. Because he's right there for the taking: I could kiss him again; I could make him mine. But I don't want him. I want someone else. It feels strange to have spent so much time wishing for something, for someone, and then one day, suddenly, to just stop. I've never gotten a love letter before. But reading these notes like this, one after the other, it feels like I have. It's like . . . it's like there's only ever been [him]. Like everyone else that came before him, they were all to prepare me for this. I think I see the difference now, between loving someone from afar and loving someone up close. When you see them up close, you see the real them, but they also get to see the real you. And [he] does. He sees me, and I see him. To All the Boys I've Loved Before is an adorable story. We are immediately introduced to the dynamics of Lara Jean's family: Margot, her elder sister who will be going to Scotland for her freshman year of college; Kitty, their nine-year-old sister; Josh, their neighbor and Margot's boyfriend; and their father, an OB-GYN. Their mother died about five years ago and Margot took up the role of the mother figure. A few days after Margot's departure, Lara Jean's goodbye love letters (she only writes these letters when she's no longer in love with their subject) get mailed out. Peter Kavinsky, an only friend from middle school, is the first to confront her. Naturally she is mortified, especially since Josh was sent a letter as well. Lara Jean is an amazing narrator. Her voice is strong, clear, and age appropriate. She admits, to the reader anyway, when she is lost and unsure of what to do. She debates with calling Margot for help, but states that she cannot always lean on her sister and needs to be more independent. And she does. Lara Jean really comes into her own throughout the novel and you can see her character development. Aside from the romantic relationships, Jenny gives us a healthy amount of Lara Jean's family life as well. Her younger sister Kitty is your quintessential younger sister. She hangs out with her sisters, but if you tease her too much she holds the biggest grudge and usually has to be bribed into forgiveness with sweets. Her "hints" about wanting a puppy are also pretty amusing.